Despite a lawsuit filed in Newark on May 8 in an attempt to halt plans to move a statue from Exchange Place, Mayor Steven Fulop said he believes moving the statue is the right thing to do. The 34-foot statue, which has been located in the plaza at Exchange Place since 1991, commemorates the victims of a 1940 massacre of Polish citizens in the Katyn Forest. Fulop said plans by the Exchange Place Special Improvement District call for the construction of a children’s playground for the site as well as green space. He said residents in the area do not want the statue to be part of the new design. 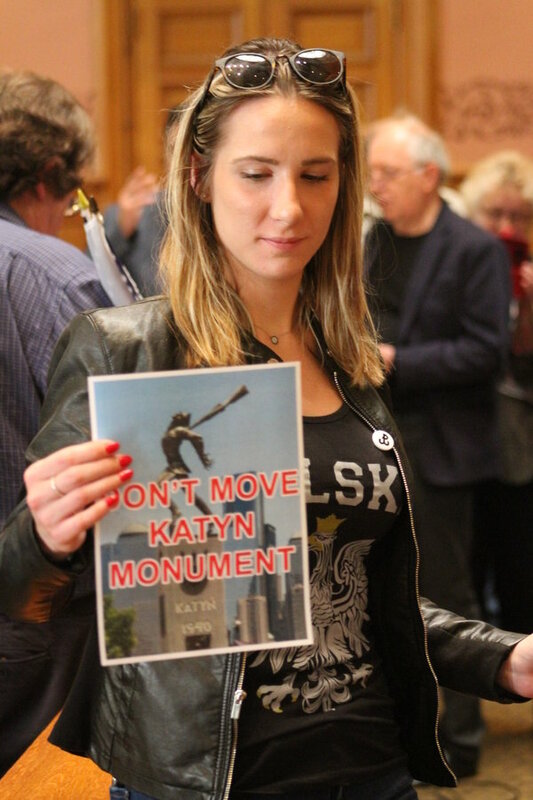 The lawsuit filed by four plaintiffs in federal court claims that Jersey City and Mayor Fulop do not have authority to remove the Katyn Massacre Memorial because the City Council has not approved any relocation. The suit asks the court to put a temporary restraint on moving the monument until further discussions with the council and Polish community can be undertaken. A separate legal action seeks to obtain communications between Mayor Fulop and Mack Cali, the developer overseeing the renovation of the Exchange Place plaza. Fulop, however, argued that a 1991 resolution locating the statue to Exchange Place is invalid, noting that the City Council authorized the location of the statue by ordinance in 1986 for 74 Montgomery St. In 1991, the council passed a resolution changing the location to where it is today. Fulop said he will meet with the Polish Chamber of Commerce over the next few weeks to discuss the issue. Bart Bagniewski, Boguslava Wang, Platta, and sculptor Andrzej Pityank filed the suit seeking a temporary restraining order stopping the city from moving the monument. The conflict came after Councilman Richard Boggiano found out about plans to relocate the statue and posted about it on social media. Since then he’s been deluged with emails from around the world, he said. 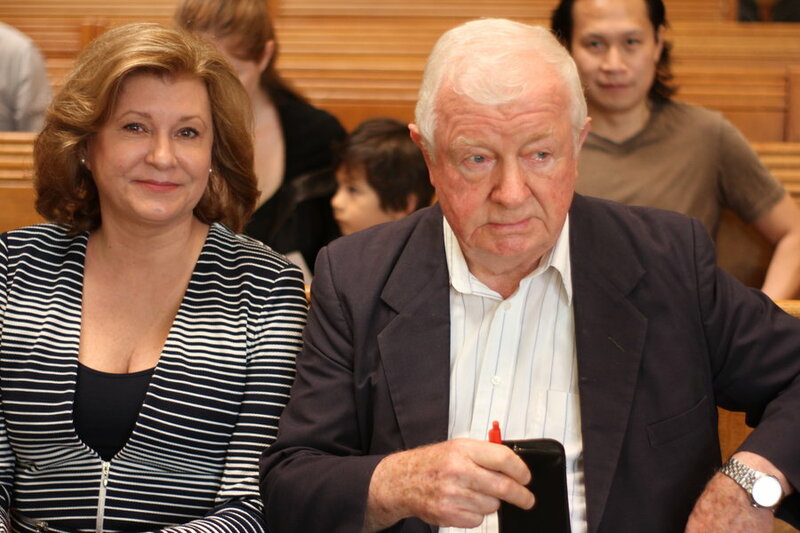 “We don’t want the statue touched,” Boggiano said at a press conference on May 8 that included high level Polish officials and military veterans. Councilman Michael Yun said this is not the first time there has been pressure to relocate monuments. He noted that just after Fulop took office in July 2013, the city proposed moving the Korean War Memorial from the foot of Washington Street to make way for a dog park. 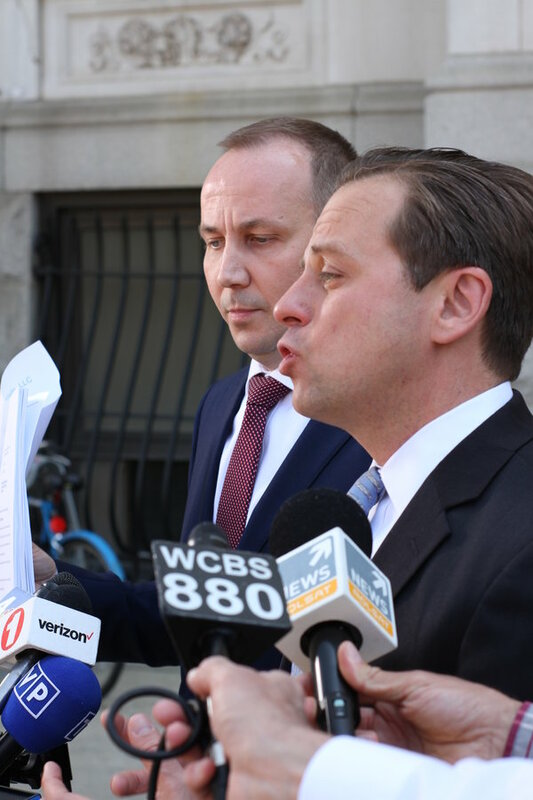 The lawsuit was filed on behalf of the plaintiffs by attorney Bill Matsikoudis, who unsuccessfully ran to unseat Fulop during the November mayoral race. The lawsuit argues that it is a violation of New Jersey law for the mayor to unilaterally move this statue without the vote of the City Council. “This is a violation of the Faulkner Act,” Matsikoudis said. A second provision deals with the Arts’ Rights Act. “The artist who created the sculpture has rights and people do not have the right to modify it or destroy it,” Matsikoudis said. The controversy over the Katyn Memorial, a bronze statue that depicts a Polish soldier gagged, bound and impaled in the back with a bayonet, has sparked strong emotions in Poland, where Katyn is remembered as one of the worst tragedies to befall the nation. The plan to move the statue has become one of the top stories in Poland. Karczewski received support of the Union of Jewish Communities in Poland which called Fulop’s characterization of Karczewski baseless. 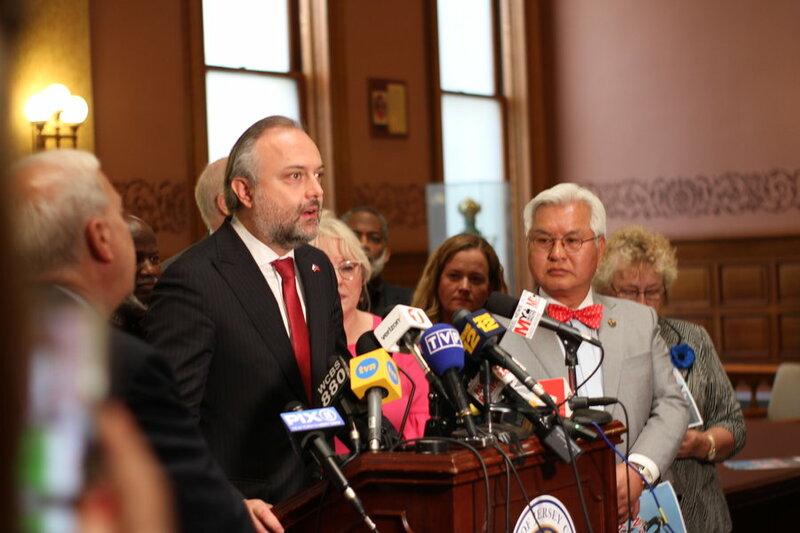 Officials at the May 8 press conference in Jersey City said in the Katyn Forest, Soviets killed not only thousands of Polish people but also hundreds of Jews, including the chief rabbi of the Polish Army, Baruch Steinberg. The statue is also symbolic of further atrocities against Polish people during that time. Alice Woznniak said her mother lost half of her family in Poland and was part of mass deportation of people under Stalin to work in camps in Siberia. 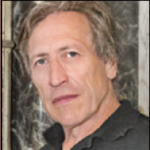 Henry Siemienowski was five when his family was deported. 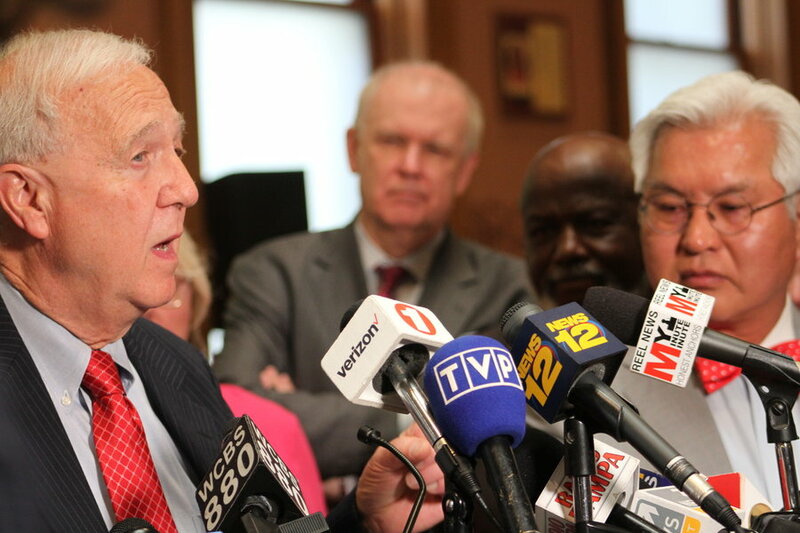 Blazejak said he was concerned about the harsh language Fulop has directed towards the Poles and their leaders. 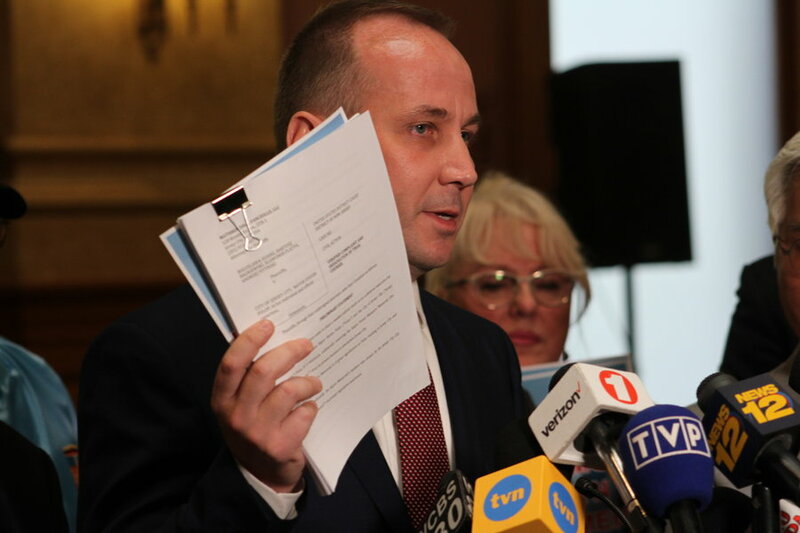 “The rudimentary knowledge of history presented by Mr. Fulop and his offensive accusations targeting Poland leave considerable room for doubt if he is able to face the challenge of managing a multiethnic city,” Blazejak said. An international public petition has been organized, “Keep Katyn memorial in Jersey City” launched by members of the Polish Diaspora on Change.org – https://www.change.org/p/mr-rolando-r-lavarro-jr-keep-katyn-memorial-in-jersey-city.